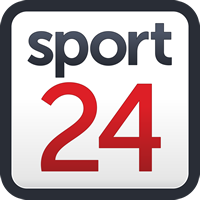 In the women's race, Langvad shepherded World Road Champion Anna van der Breggen to seven stage victories, including the win on Sunday’s Grand Finale from Stellenbosch University to Val de Vie Estate. Overall the Investec-songo-Specialized pair ended up a massive 30 minutes ahead of South African Candice Lill and her German partner Adelheid Morath (Summit Fin) with Ariane Lüthi and Maja Wloszczowska (Kross-Spur Racing) third, another 30 minutes further behind. In the final stage for the men's category, South Africans Philip Buys and Matthys Beukes (PYGA Euro Steel) were inched out of their second stage win when, according to a photo finish, Sergio Mantecon Gutierrez beat Buys across the line. The Grand Finale stage win provided some late consolation for Gutierrez and his KROSS-SPUR partner Ondrej Cink after a disappointing event in which mechanicals robbed them of any chance of a high finish. The move by Buys and Beukes to go for the stage win meant they were the first team across the line in the Absa African Men's Jersey competition, but they were never in contention for the overall title after a consistent eight days from Alan Hatherly and Matt Beers (SpecializedFoundationNAD). Hatherly and Beers ended fifth overall after crossing the line sixth on Sunday. Marco Joubert and Nicol Carstens (Imbuko Giant) ended second overall in the competition for the Red Jersey, just under 40 minutes back. In the race for the Absa African Women's Jersey, Theresa Ralph and Sarah Hill of team Galileo Risk were comfortable winners after claiming sixth position overall. The MMR Mixed team of former Road World Champion Oscar Freire Gomez and Natalia Fischer Egusquiza won the Grand Finale stage in the Virgin Active Mixed category. However, after a dominant performance throughout the week, the Cape Town-based German husband and wife team of Sebastian and Laura Stark (TBR-Werner) were category winners by 36 minutes. Miller Paneling’s David Miller and Shayna Powless were third, another 30 minutes further behind.